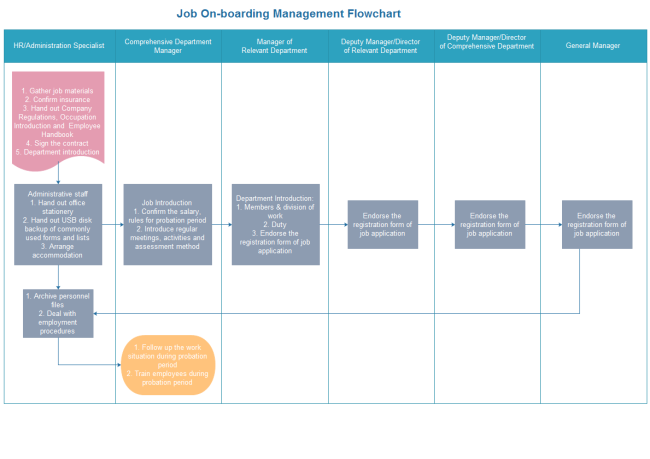 Description: A free customizable job on-boarding training flowchart template is provided to download and print. Quickly get a head-start when creating your own cross-functional flowchart. A ready to use template will save a great amount of time and energy. Share, discover and update Cross Functional Flowchart templates in this professional content sharing community. With Edraw Max, you can edit the templates for personal and commercial use.